We take a closer look at some of the key men who will be flying the flag for Afghanistan at the ICC Men’s Cricket World Cup 2019. Like many of the Afghanistan team, leg-spinner Rashid Khan spent time living in Pakistan due to war in his home country, but when his family returned to their home city of Jalalabad, he fell in love with cricket. It’s fair to say he’s had a meteoric rise in the sport. Having only made his debut for his country in 2015 he has since gone on to win the ICC Associate Cricketer of the Year, become the youngest captain in the history of international cricket and is currently the number-one ranked ODI all-rounder. In February 2017, Khan received the highest-ever bid for an Associate player in the IPL Auction and fast forward one year, he became Afghanistan’s first IPL millionaire after the Sunrisers Hyderabad reclaimed him at auction for $1.4 million. His devastating leg-spin has brought him attention from cricket fans around the world, and in the last couple of years Rashid has played a number of domestic T20 tournaments, appearing for teams in Bangladesh, India, Afghanistan, Australia, England and the Caribbean. All-rounder Mohammad Nabi is a stalwart of the Afghanistan side, having been part of the team from their time in the ICC World Cricket League Division Five to their current position as the No. 10 ranked ODI team in the world. 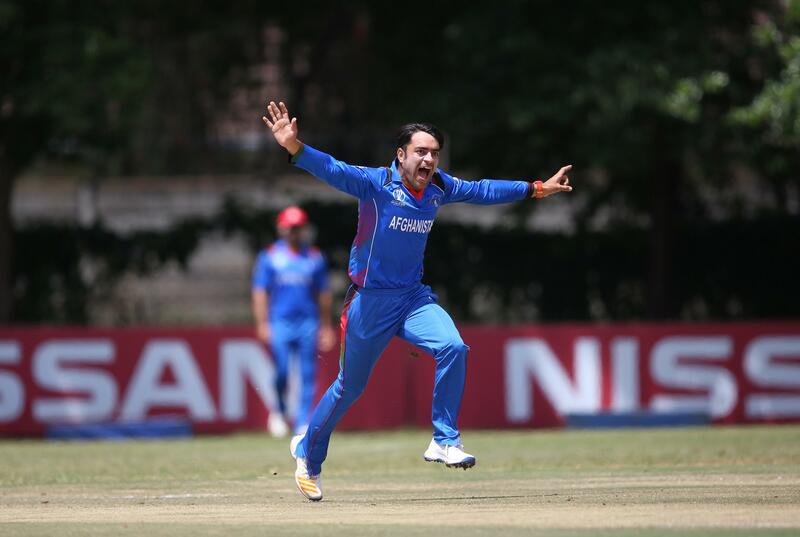 Nabi has played in every single one of Afghanistan’s one-day internationals to date. Playing in a match against the MCC in India, his batting caught the eye of former England captain Mike Gatting. Accepting an invitation to train and play for the MCC, for whom he made his first-class debut, he also continued to represent Afghanistan and remained the backbone of the side that qualified for the World Twenty20 in 2010, 2012 and 2014, as well as their first appearance at the ICC Cricket World Cup in 2015. CWCQ POTD – Nabi six clears the roof! 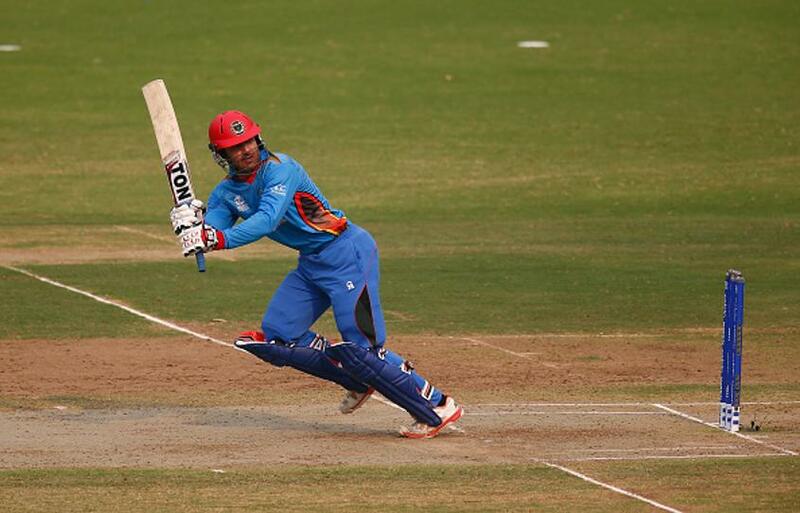 Nabi and Afghanistan had to go through the World Cup Qualifier to book their place at next year’s World Cup. They didn’t get off to the best start, suffering defeats to Scotland, Zimbabwe and Hong Kong. However, in one of the great cricketing comebacks, Nabi and Afghanistan would go on to record victories against Nepal, the Windies, United Arab Emirates and Ireland to secure their place at the ICC Men’s Cricket World Cup 2019. Nabi averaged just shy of 43 with the bat, amassing 257 runs – the most in his side – and he’ll be hoping to take that form into next year’s tournament. Like fellow spinner Rashid Khan, Mujeeb Ur Rahman has had a phenomenal start to his career, becoming a mainstay of the Afghanistan national side at the age of just 17. Mujeeb made a name for himself when he took an astonishing 7/19 against Bangladesh Under-19s back in October 2017, the joint second-best figures in Youth ODIs. Since then, he has continued to develop his game, representing his country at both the ICC Under-19 World Cup and ICC Cricket World Cup Qualifier in 2018. 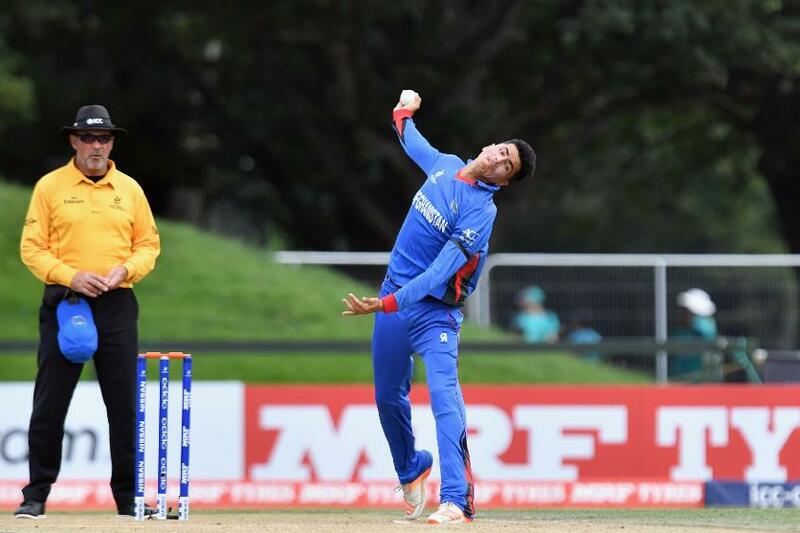 At the Under-19 World Cup, his 4/14 against New Zealand helped Afghanistan to a historic victory which booked their place in the semi-final for the first time. His superb performances during the ICC Cricket World Cup Qualifier in Zimbabwe, where he took 17 wickets – the joint-most for his country alongside Khan – resulted in Mujeeb being picked up by Kings XI Punjab to play in the IPL earlier this year.